Which Computer Course To Pick Post Graduation? This is by far the most confusing time in a students life. 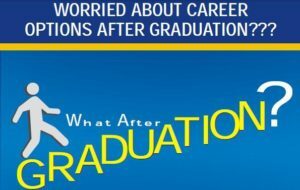 They are done with the graduation and are wondering about the options to build their career. I have passed through the same phase and wished for some guidance from the expert. I know you would wish for the same at the moment. Here I am to guide you and help you explore your options to pick the best one. Let’s get started. Which Computer Course Is Better After Graduation? People are shifting to mobile devices for accessing the internet which creates a huge demand for the mobile apps. At the moment, this job s considered as one of the fastest growing sectors. Now, you have two more choices in mobile app development to choose from. Any of the platforms you pick, you will need to take training as well. Before you start looking for the training center, let me answer you that. Developers Academy is the best place to take Android training or iPhone training and shape your career as a developer. This is to maintain the quality level in each and every level of the production process. This field needs to have a critic of insight and fetch or the errors or issues to maintain the quality standards and come up with a glitch-free product. Due to increased competition, every company wants a QA and hence you won’t be facing the scenario of lack of jobs. It is the process for increasing the visitors on the website and increasing the ranking of the website in the search results. It is basically the digital marketing. For this, you will need understanding about the Google Adwords, Google trends, and such other things. The number of websites is increasing and each one of them wants their website to be visible to the public and grab business out of it. This clearly means the demand of SEO executive will be high.